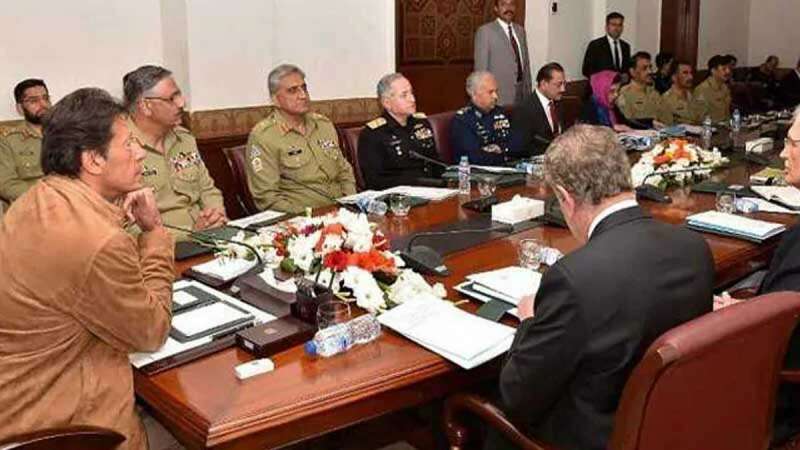 New Delhi : Hours after India launched an Air Strike on Pakistan based terror group Jaish-e-Mohammed's biggest training camp in Balakot, the Pak Prime Minister Imran Khan called for a meeting of the National Command Authority. Even though Pakistan denied that the Indian Air Force had struck a terrorist camp and caused heavy casualties, Pakistan vowed to respond "at the time and place of its choosing" and raise the issue at the United Nations and other international forums. "We will surprise you," a spokesperson for the country's army said, adding the response would include all domains including "diplomatic, political and military." India on Tuesday morning bombed and destroyed the terror camp, killing over 250 terrorists residing inside it. The air strike comes as retaliation to February 14 attack on CRPF convoy in Pulwama (Jammu and Kashmir). A total of 40 CRPF personnel were martyred after a Jaish-e-Mohammed terrorist struck down bomb-laden car into the convoy.